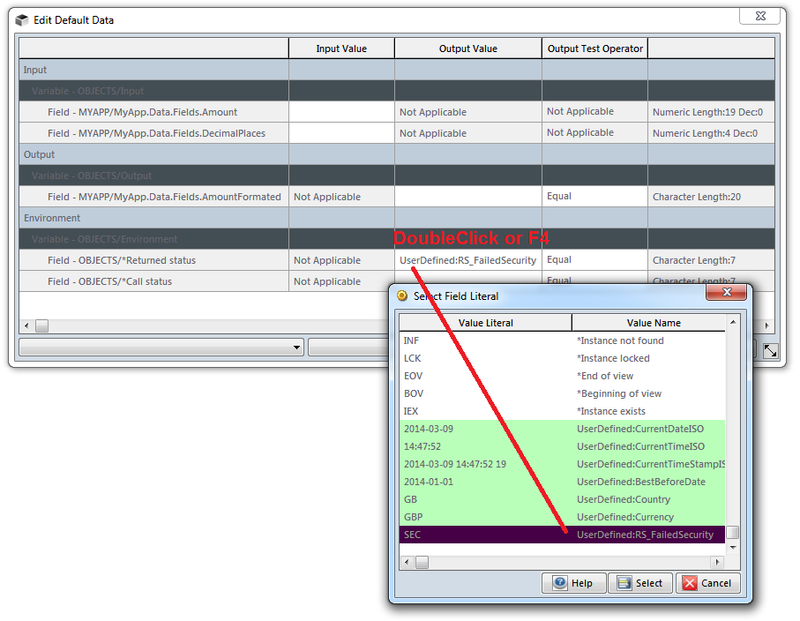 User defined values (UDV) allows a developer to set ATB system wide field values (Max 250 Long). For example if you set up ATB DB for each country you support and your test functions have a 'Country' field value as input you would find it a pain to visit all test steps and change the runtime input value to the appropriate hard coded country identifier. So create a Country UDV and map this to your input country fields. Think before creating UDV Key (20 Character Long) and deleting as this key instead of maybe better would have been a hidden surrogate is the key used during the substitution at runtime for the mapped input parameter. So think before creating and utilizing as this key name can not be changed without creating a new one and visiting all the steps the UDV was mapped! UDV are available to map via the Select Field Literal panel which is promptable (Double Click or F4) from the Edit Test Data panel's. 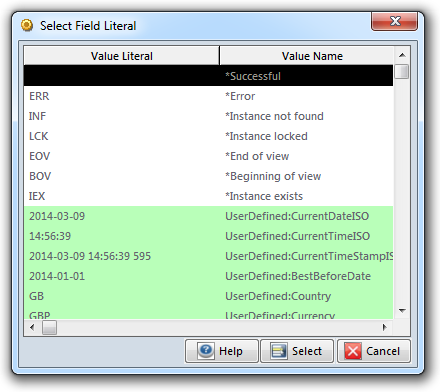 During Step3 of the Stub Wizard the field and scoped values are created and are made available to map as input. If you subsequently add new values to the field the stub must be recreated via the stub wizard if you want them available in the Select Field Literal panel. Any UDV are available irrespective of domain.